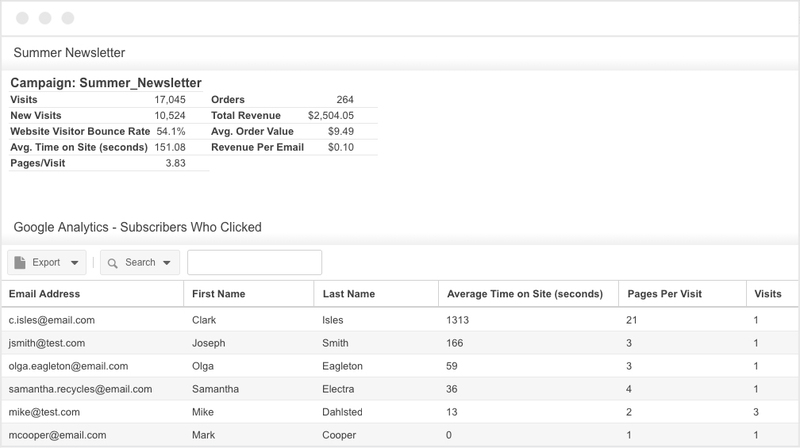 Dynamic lists are defined by rules which determine which subscribers should be included on the list. The list is built “dynamically” by Critical Impact based upon those rules. Any subscriber who meets the criteria of the dynamic list will be included at the time of send. Send to active subscribers who have opened or clicked on any message in the past 30 days. Segment subscribers by custom fields like “city” and dynamically select subscribers who are from a specific location. Many email platforms are unable to distinguish between a real click and a “false click” coming from a “bot” or email anti-spam tool. Do your click performance numbers look abnormally high in other email platforms? 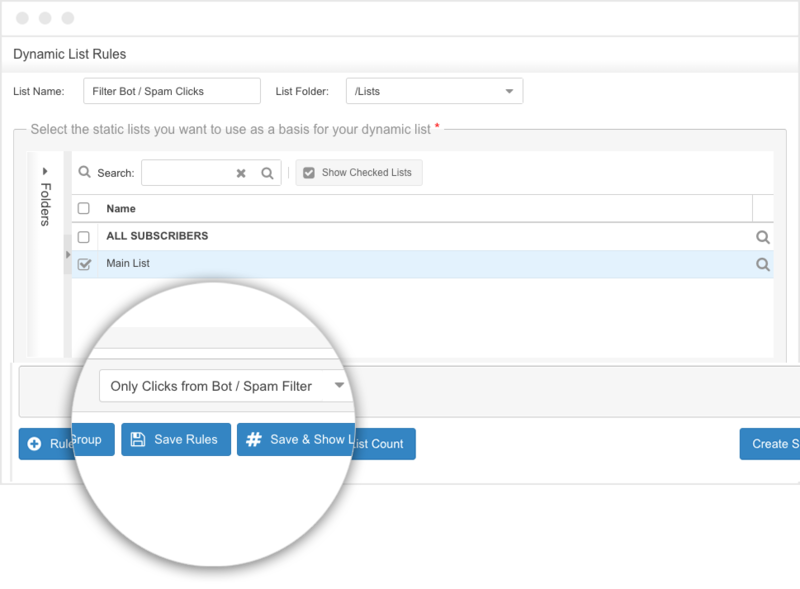 Enable Click Filtering in Critical Impact to filter out all the “false” clicks you would normally see in other email providers. Our proprietary system will help identify subscriber clicks that weren’t initiated by a human. You can then easily filter out these subscribers in subsequent sends, so you’re only sending to “real” people. Energize your open and click rates by including dynamic content rules within your message templates! 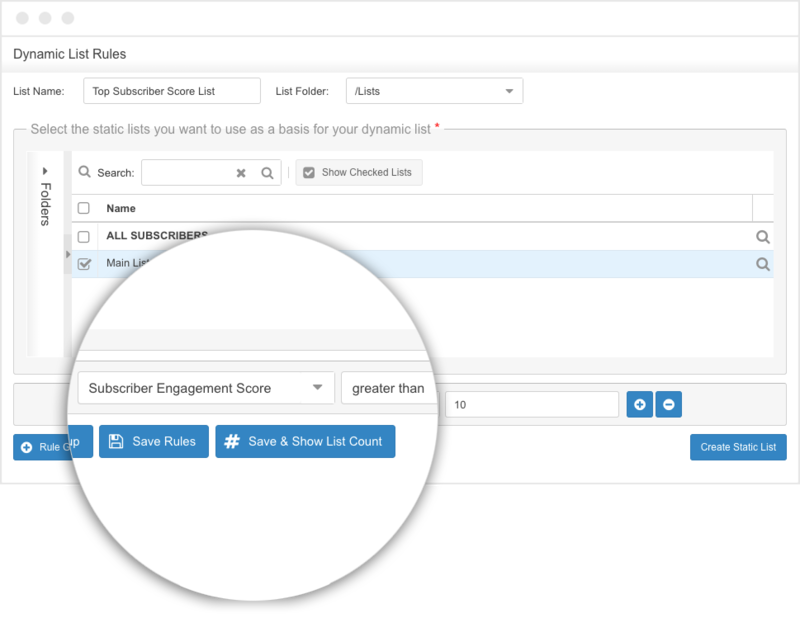 Just insert a “dynamic content rule” into your template and each subscriber who matches that rule will see their personalized content. Dynamic content will help you leverage data like purchase history, website browse activity, email interactions, and even your CRM data. Target subscribers who have opened and clicked from a specific region and show them tailored regional content. 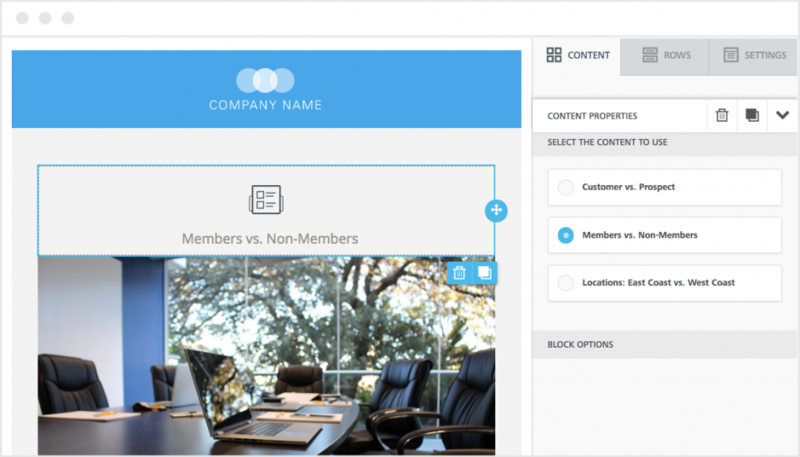 Personalize content based on subscriber preferences or shown interests. Email throttling allows you to control the amount of email messages sent from your account. Spreading out the delivery of your emails over time can be beneficial, as it helps regulate the number of emails that are being delivered during high-traffic periods. 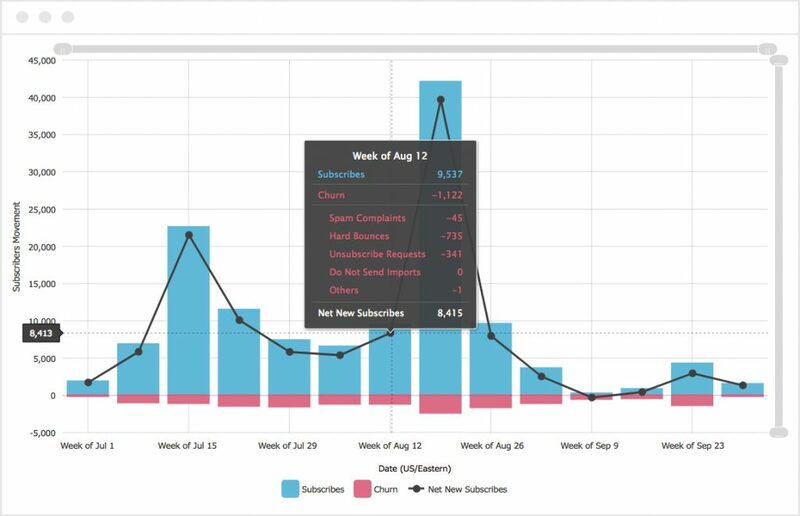 Maximize subscriber interactions with your email campaigns. If your call to action is to make a phone call, throttling can help you manage responses at the call center. Scrape content from a web page to send directly to your subscribers. Our platform can also pull content from RSS feed(s) to display in your messages and automatically send new articles to your subscribers. Automate RSS feed content to be sent by email. Scrape content from a web page to send to your subscribers. 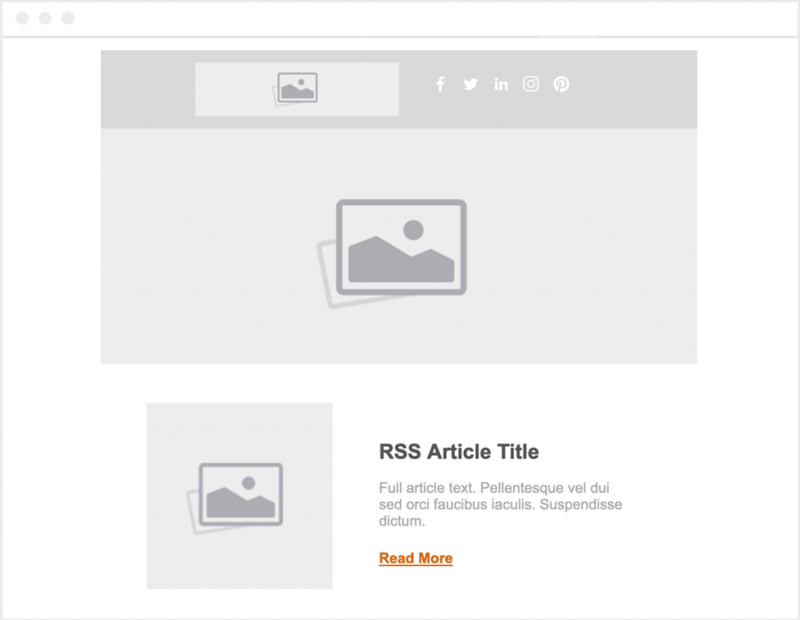 Combine multiple RSS feed content and customize the order of the articles. With our easy to use interface, you can schedule messages to send in minutes. Select your send options all on one page, and then prevent mistakes by seeing a confirmation of all your send details. Select to send messages immediately, or schedule them to send in the future. Send messages with Google Analytics link tracking enabled. Run an A/B test to compare two versions of a message and see which performs better. Customize the subscription center with your brand’s logo, styles, custom text descriptions, and more. The available lists section is completely customizable as well, so you can include pictures, text, and links to past examples of newsletters. You can also make the profile center public, so that you can link to it from external sites. Create beautiful, responsive emails quickly from the template library. Easily build beautiful, mobile responsive campaigns in minutes, with drag and drop ease! With Critical Impact’s drag and drop editor, you can easily build and send your email marketing campaigns with less hassle and in less time than ever before. Prepare to be blown away with our advanced features and ease of use! Send confirmation emails to customers when they complete a purchase, make a reservation, or request a new password. With our API, you can be sending in minutes. 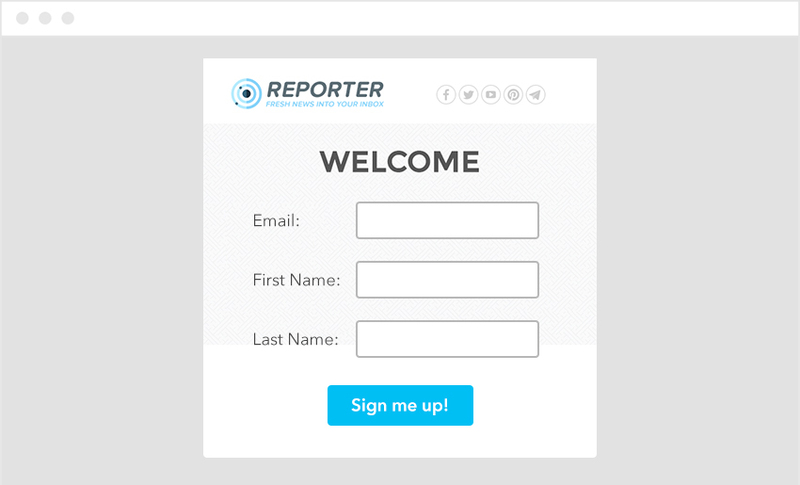 Create sign up forms to easily integrate with your website. 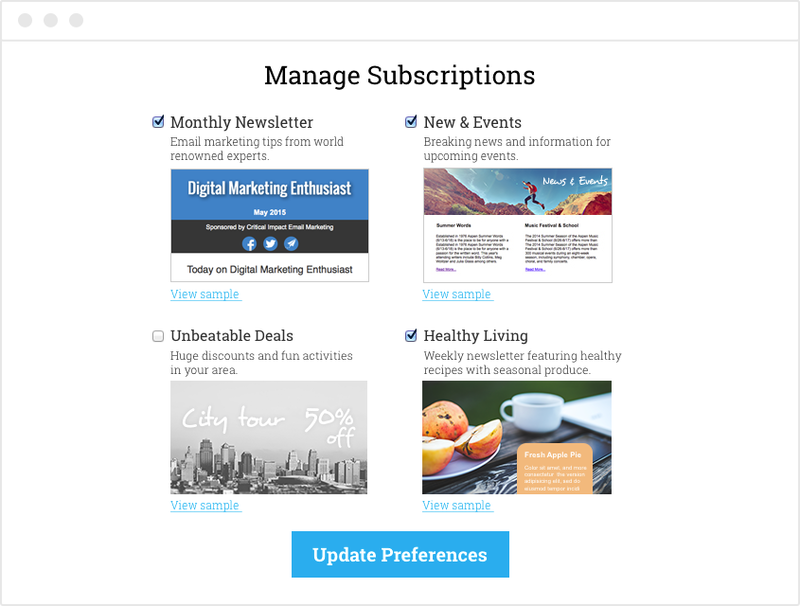 Landing pages are another great tool to say thank you to subscribers who fill out your form. With Critical Impact’s Google Analytics integration, it’s easy to see a subscriber’s journey from an email message to your website. By utilizing the power of this integration, you will discover richer tracking data. Then use this data to measure conversions and to power personalized, relevant communications. With robust real-time tracking and graphical reporting, your campaign results can be analyzed to drive future marketing improvements. 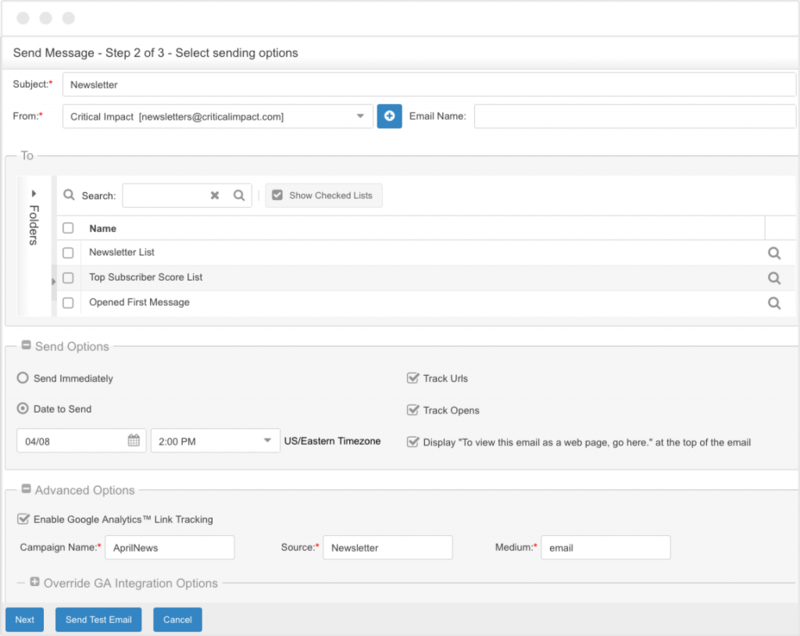 Easily integrate your subscriber database with Critical Impact to eliminate imports and store email campaign activity histories for contacts and leads. 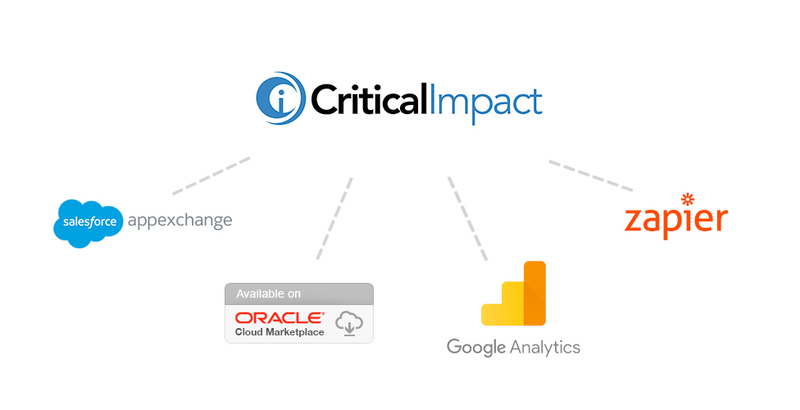 Critical Impact offers integration with Salesforce.com, Oracles Sales Cloud, Facebook, Google Analytics, and more. 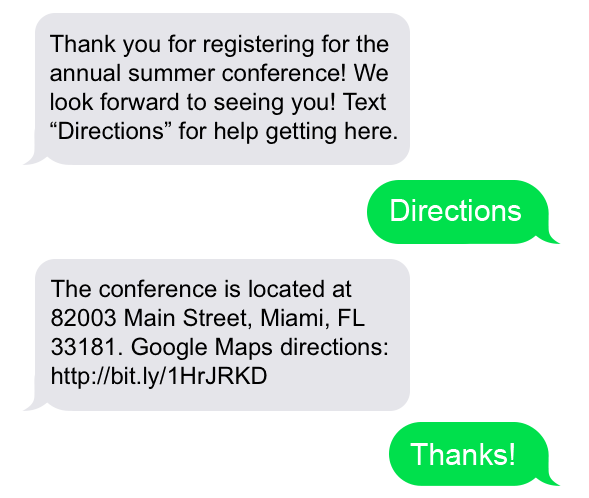 Send SMS text message alerts to connect with customers, make important announcements, or offer special deals to your subscribers.